This recently came my way. 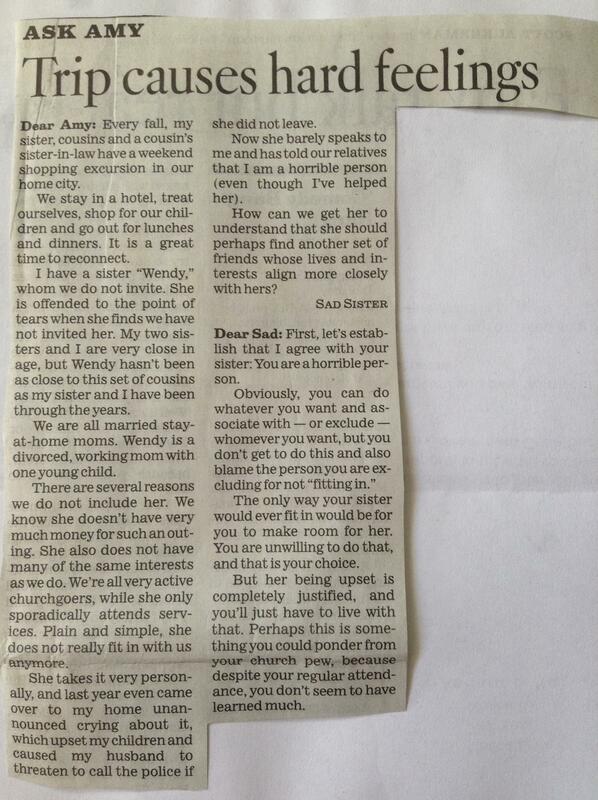 Amy Dickenson apparently is a columnist for the Denver Post answering self-help questions. She’s right in this one: When you see someone down and to the ground, you have a moral obligation to help that person back on ones feet as much as possible, not avoid them. Otherwise, yes, you are a horrible person. And, if you’re a religious person, it may be time to re-think your religious priorities (* can of worms opened *).